Dr. Matthew Milestoneand the team at Milestone Orthodontics are specialists in adult orthodontic treatment near Union, NJ. Braces aren’t just for kids or teens anymore. Today, nearly 20 percent of people wearing braces are adults. Less visible options like clear aligner trays and ceramic braces have attracted more adults to the outcome possibilities of orthodontic treatment. If you had braces as a kid and you find that now, as an adult, you need them again, that’s because your teeth shift as you get older, and some people’s teeth move faster and/or more than others. You may be experiencing discomfort caused by a malocclusion, don’t like the look of their misaligned teeth, or want straighter teeth for a new you. Dr. Matthew Milestone and the team at Milestone Orthodontics can help. There are many orthodontic treatment options available for adults near Union, NJ. b) Ceramic braces — often clear or tooth-colored with a clear wire to bind them. c) Lingual braces — adhered behind the teeth rendering them completely invisible. d) Clear aligner systems — like Invisalign; practically invisible and removable for brushing, flossing, and eating. Many orthodontists today offer a free consultation to determine your treatment options, costs, and length of treatment. Milestone Orthodontics consultations include photographs, a medical history review, and a panoramic X-ray that gives a full-mouth view. 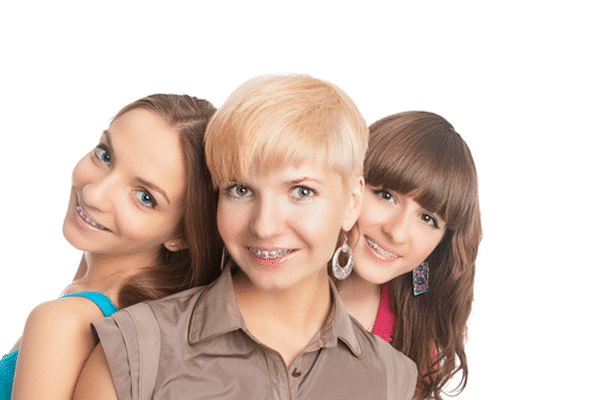 Orthodontic treatment with braces can improve the quality of your smile. Knowing that your dental health will improve with treatment also is a great way to build confidence. After treatment, Milestone Orthodontics clients leave with a healthy, straight smile!